Q. Why should I fight my ticket? A. Fighting your ticket is a personal choice. Not every ticket needs to be contested and we’ll tell you when you need our services and when you don’t. Her is a brief glimpse into the speeding point system in New York. Q. What can your firm do for me? A. 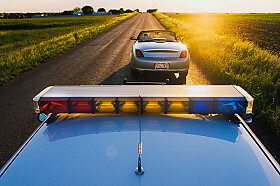 We have represented hundreds of ticket clients throughout New York State. We will aggressively fight your matter and attempt to resolve it in a way that protects your best interests. Q. My case was resolved a year ago without hiring an attorney. I don’t remember what I plead guilty to. How can I find out? A. You can go to DMV and ask for a copy of your abstract or go to the court where you took your plea and ask for a certificate of disposition. Q. I was charged with driving 40 mph over the speed limit. What are some consequences I can be facing if I simply plead guilty? A. In New York, you can lose your privilege to drive, be made to pay hundreds of dollars in fines and surcharges, be made to pay hundreds of dollars in insurance increases, and be sentenced to jail.